A lien is a notice that gets attached to your property, revealing that a creditor claims that you owe them money. This lien is typically a public record and filed in Maine with the Registry of Deeds. When you are buying or selling a house, there is nothing real estate professionals (or a potential buyer or seller) hate more, than to be “surprised” to find out there is a lien on the property in question. In order to sell or refinance a property, you must have clear title to the property, and in order to clear up the title, you must pay off the lien. Therefore, creditors know that putting a lien on property is a cheap and almost guaranteed way of collecting what they are owed. A few examples of common types of liens that could be put on a property are listed here. Property tax liens unfortunately are common, in large part because they are prioritized over any other claim to the property. When property taxes go unpaid, the government may have the right to step in and sell the home to pay off that balance owed. 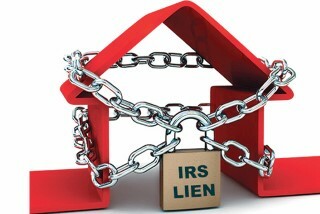 IRS Tax Liens/Unpaid Federal taxes – not just local property taxes – can also cause a lien to be placed on the property. The IRS has their own aggressive process for recouping unpaid taxes, including garnished wages and placing a lien on the property. These are placed on the property when a contractor has performed work on the property, but was not paid. Maine law allows a contractor who makes improvements (with services or materials) to a property, to secure payment with a mechanic’s lien, when the customer fails to pay the amount due. The filing of a timely and properly drafted mechanic’s lien is a critical means of assuring payment - as the mechanic’s lien goes ahead of the mortgage on the property. If a homeowner was successfully sued, the winning party can place a judgment lien on the property should the homeowner fail to pay the entire judgment amount. This guarantees that the winning party will eventually get the money they are owed. When a mortgage is taken out on a property, the lender has a claim to ownership to offset the risk of lending money. This lien differs from the other types as this lien is voluntary. The homeowner agrees as a stipulation to the mortgage, that the lender has a claim – or lien – to the property until the debt is paid. The Moral - Unfortunately: Maine statutes have no specific provision for the release of a lien. However, according to M.R.S.A. § 3263, property owners can file a petition requesting that the court order the lien holder to accept a bond and release the lien. So - what’s the moral of the story? Purchase title insurance to protect you and your home against hidden issues, like liens. Title insurance is the best way to protect you from unforeseen legal and financial title discrepancies. Don’t think it will happen to you? Think again.